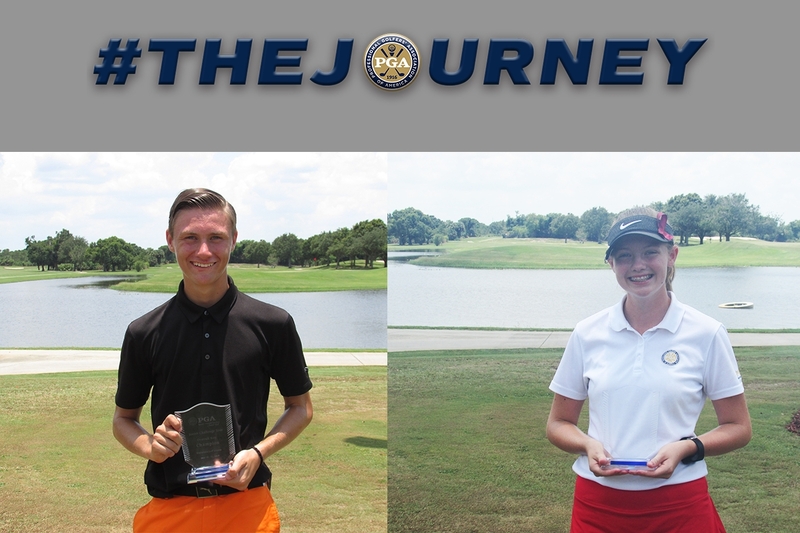 June 21st 2018 - ATLANTIS, Fla. – This week, the South Florida PGA Junior Challenge Tour presented by The Honda Classic held Challenge Tour Event #5 at Fairwinds Golf Course in Fort Pierce, FL. The week featured great weather for the juniors. Tanner Vickers of Stuart, FL took home his first South Florida PGA Challenge Tour win this week in Fort Pierce. Vickers fired and opening round 76, but a final round 1-under 71 put him tied for the Overall Boys’ Division lead after 36 holes. Andres Barraza of Parkland, FL fired an opening round 73 and a final round 74 to force a sudden death playoff with Vickers. The playoff would last two holes with Vickers walking away victorious. Barraza would take home the boys’ 13-15 age division, while David Miller of Davie, FL would take home the boys’ 16-18 age division. Kelly Shanahan captured her second straight Challenge Tour victory this week. Shanahan fired rounds of 74-74 to take home the Overall Girls’ Division by three strokes. Gloria Nip of Port St. Lucie, FL took home the girls’13-15 age division, while Bridget Forgatch of Palm Beach Gardens, FL took home the girls’ 16-18 age division. Victor Herrera of Doral, FL took home the boys’ 11-12 age division after rounds of 73-71. This is Herrera’s second win in the 11-12 age division this season.